The book that is launching careers in the manufacturing industry. Quality tooling starts with tool steel. 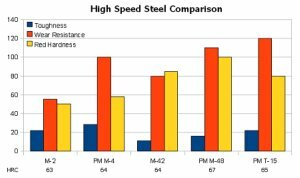 "Tool Steel Simplified" provides you with the knowledge necessary to turn tool steel into high-quality tooling for your application. This downloadable PDF e-book is written in an easy-to-understand format, providing the reader with a thorough understanding of tool steel and its' role in the tooling industry. You will use this e-book repeatedly as your most trust-worthy resource. Your cost for all of this information is only $34.99 and simple secure payment is provided through Paypal. Easy and fast download. Your Download link will appear after payment. Improve your tooling Today !!! Simply click the link to download your ebook. Fast and easy download.